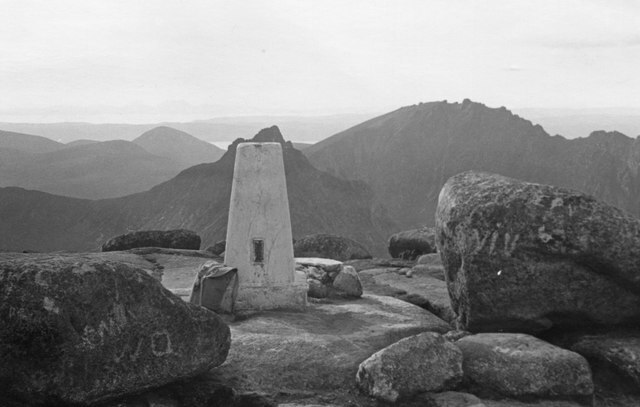 The graceful cone of Cir Mhor directly in line with the summit trig point (874m) with Caisteal Abhail (859m) to the right. Jura is faintly visible on the leftward horizon. What a fantastic pic. would love to hear from any other Goatfell fans!